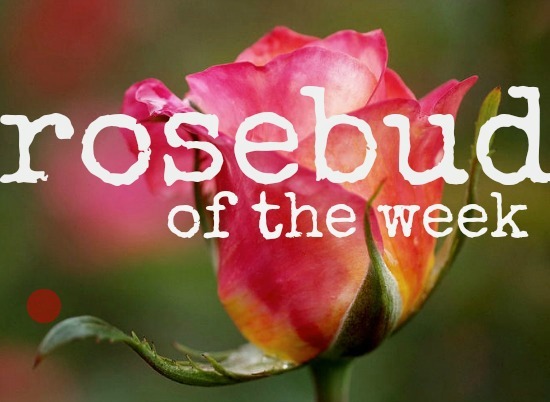 This lovely rosebud really lights up a room when she's in it. Even on the interwebs, this incandescent spirit blazes up the place with her thoughtful posts, kind comments and absolute support for her circle of +40 pals. Of which I feel incredibly fortunate to be a part. Her blog brings the party to +40s, because I can't imagine not joining in for her popular VISIBLE MONDAY blog link-ups. Her style is an easy going, slightly edgy city chic, and she inspires not just in the semingly effortless way she can put together an ensemble, but for her cheery warmth, kindness and dazzling smile. 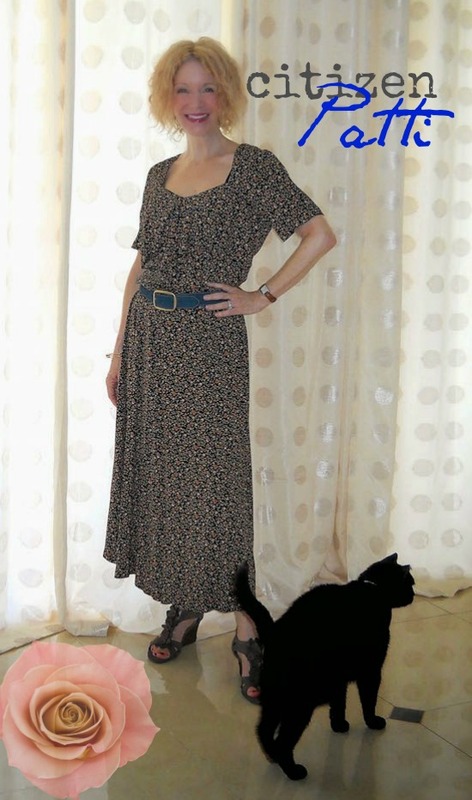 Imagine the sheer joy to see Patti rocking her CITIZENS-OF-ROSEBUD #freshpicks, like this gorgeous bias cut 1990s grunge era ditzy floral print rayon dress, purchased from our shop. She really could easily be our official Rosebud of the Year. Thank-you precious Patti for showing how great +40 style can be. For being such an integral part of the #SECONDHANDFIRST community, and for all your support! Want a little style inspiration? Check out Patti's blog, Not Dead Yet Style and get revved up to bloom madly. Patti is precious, and a damn good citizen!